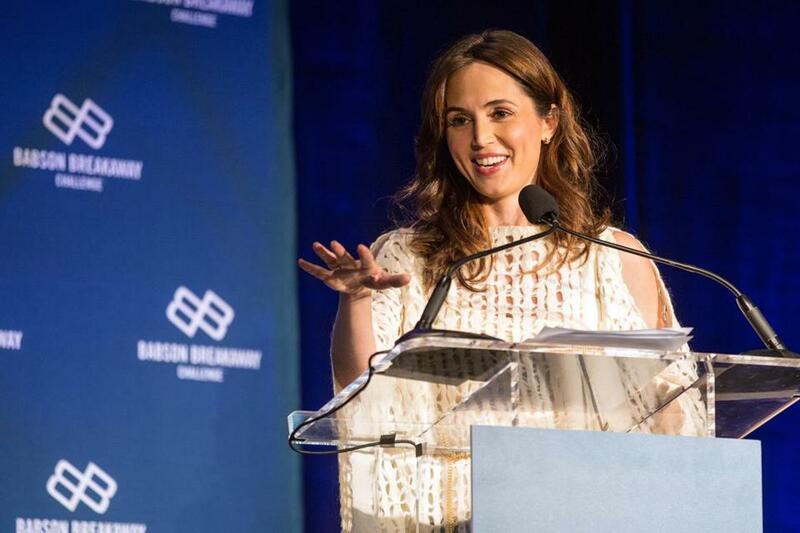 Actress and self-described “badass” Eliza Dushku appeared at a HUBweek event Friday, speaking about her New England upbringing and how it prepared her for success in Hollywood and nourished her desire to empower women. Best known for her role on “Buffy the Vampire Slayer,” Dushku said she worked hard from the start. (The Watertown native was just 14 when she appeared in “True Lies.”) “I built my career time and time again by scrapping and fighting for the right to walk into a room of executives and believe deep down, and without question, despite any noise, that I deserve to be there and to be heard,” Dushku said, adding that her “True Lies” costar Jamie Lee Curtis had been an inpsiration. The actress spoke at the Babson Breakaway Challenge, a competition to promote gender parity in the venture capital industry. The winner was Babson graduate Emily Levy, CEO and cofounder of Mighty Well, a Boston-based startup that produces garments designed to accommodate individuals with PICC lines undergoing intravenous treatments.